Welcome to my "Corner" On the Web. Thanks For "Dropping By". On the advent of a new month in #Outsiders", we begin with the latest from the Orange County Council, Boy Scouts of America. 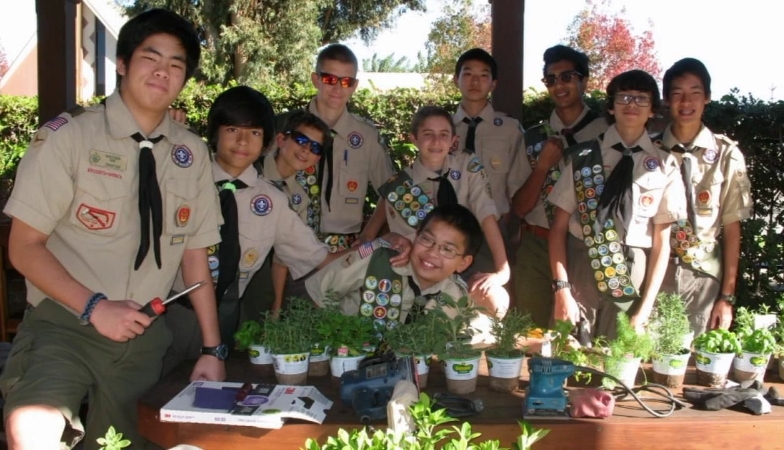 The latest edition of the "parents Scout scoop" from the Orange County Council showcases how Scouts continue to make a difference throughout Orange County as exemplified by Scouting For Food 2014 and other on-going active Community Outreach Efforts. As #BlackFriday has come and gone, #CyberMonday is before us, it is ever so critical to remember #GivingTuesday. It is gratifying to see how organizations throughout the World have come together in this spirit. We here @ #outsiders are pleased to be ardent supporters of Scouting and have been ardent supporters of #GivingTuesday. As we see it, every day should be a #GivingTuesday simply because making a difference is ever more important for the betterment of all as we joined the Trailmasters of Troop 772 as they served Marines at Camp Pendleton during the Annual Thanksgiving Dinner Giveaway earlier this week. We here @ #Outsiders salute all who strive to make a difference. 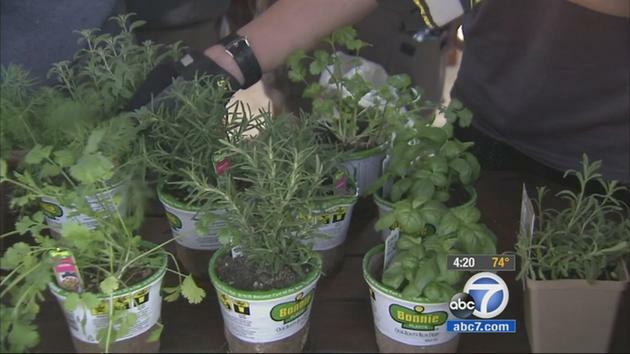 A sensory garden is being planted at the Braille Institute of America's Orange County Center as part of a project developed by two brothers who want to earn their Eagle Scout Rank. Jesse and Matthew Sun, both 15 years old, are planting fragrant herbs such as rosemary with the help of their Boy Scout troop that will be used in the kitchen at the center. "We have cooking classes for people to relearn how to cook in the kitchen again. They can relearn those skills to be safe," said Gloria Coulston, executive director of the OC center. Jesse and Matthew Sun raised about $1,400 to pay for the plants and materials to create a space for about 500 people with no or low vision who visit the center each week. "I can't imagine being without my sight, without the colors of this world, without any of this," Matthew Sun said. The brothers also learned what it is like to be visually impaired while volunteering at the center, which runs on donations. "I learned to be more appreciative of what I have and what I can do with all these skills that I have and what I'm born with," Matthew Sun said. 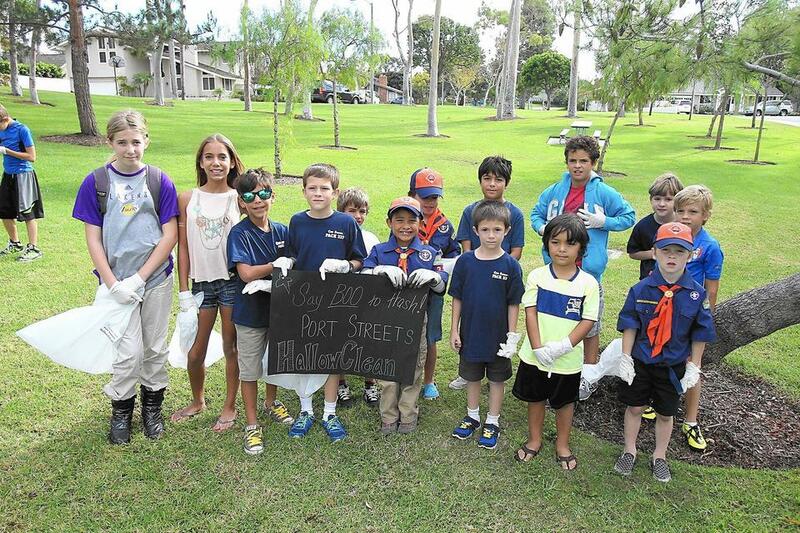 Beginning with "HalloClean" on November 1st, Cub Scout Pack 333 in Newport Beach launched a month of activities to demonstrate good citizenship and active participation in their community. In lieu of its normal monthly Pack meeting, the Scouts and their families participated in four weekend activities. First, the Cub Scouts met for "HalloClean," which entailed walking the community greenbelt, end to end, and picking up the remnants from Halloween. Second, they joined the greater Scouting community on Saturday, November 8th by collecting and donating food as part of the annual Scouting for Food 'Good Turn' campaign. The third activity, held on November 15th, included Pack 333 joining the American Legion Newport Harbor Post 291 to deliver donated items and pack shipments to our troops serving overseas. Lastly, with a focus on family community, Cub Scouts were asked to take a moment on Thanksgiving to share what they are thankful for or to partake in an activity of thanks. Read more about the HalloClean event in this Daily Pilot article. On September 5, 2014, the hardworking Scouts from Troop 724, of San Juan Capistrano, gathered at the beach in Monarch Bay in Dana Point to participate in "operation beach clean-up." A number of different patrol groups from Troop 724 came together to serve one of their local beaches in need of a clean-up. The Troop scoured the beach, collecting trash from Monarch Bay to neighboring beach, Salt Creek, with huge smiles on their faces. The Scouts worked together to make sure that by the end of the day the beach was pristine and all the trash was discarded. The management staff at Monarch Bay praised the boys' hard work and efforts. The Scouts ended the evening with a cook-off competition and a renewed appreciation for the beach environment. They had so much fun that the Troop looks forward to making this an annual event. 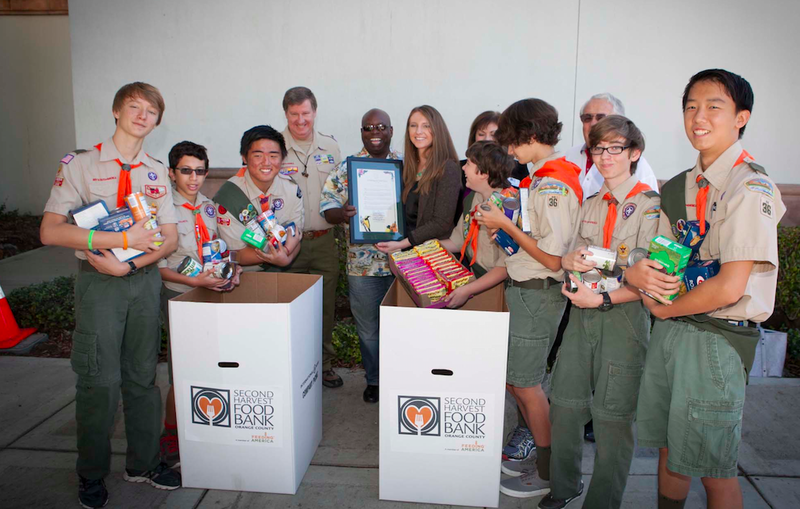 A huge thank you to all the Scouts, Scouters, families and volunteers who helped collect food for the hungry of Orange County on Saturday, November 8th by participating in Scouting for Food. Thousands of Cub Scouts, Boy Scouts, Girl Scouts and their volunteer leaders in Orange County participated in this Good Turn initiative. Over 65,000 pounds of food has been received by Second Harvest Food Bank of Orange County, with more food coming in daily. That's approximately 53,660 meals and counting!